Google provides the Google Analytics certification program to encourage IT workers to become highly proficient with the Google product. By developing a thorough working knowledge of Google Analytics, workers will be more successful and presumably spend more money purchasing Google services. In exchange for their efforts learning the product, Google offers an Individual Qualification (IQ) credential that boosts workers' resumes and employability. As part of the learning process, Google offers a free online course at its Conversion University that helps students acquire knowledge about the analytics platform. After completing the course, students can take the certification test. Those who pass receive a certificate and instantly become a more valuable asset to their employers. Here we list two places where a practice test Google Analytics students can be found, but only one of them seems to be capable of offering Google Analytics students a valuable experience. Still, readers should try the resources at both sites listed here to gain additional valuable experience that will help students pass Google's proficiency test. 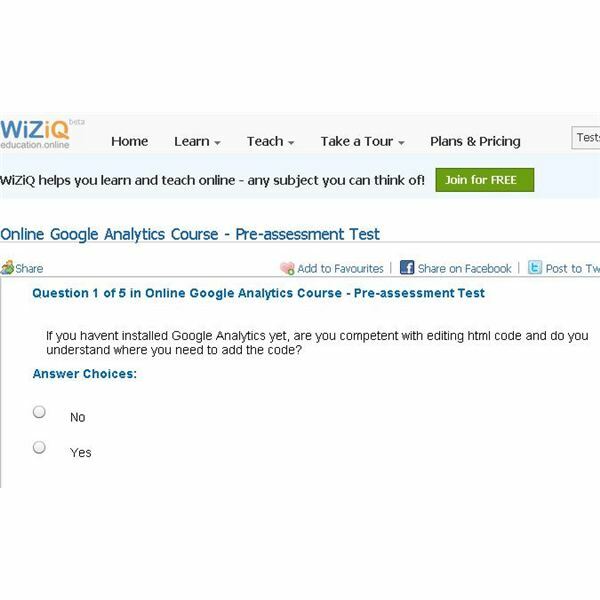 Pre-assessment Test that will help them understand their current state of knowledge about the Google Analytics program. Here, two practice tests are available. Although users may question the value of each one, the good thing is that the tests here are free, allowing users to boost their readiness for the official Google exam. 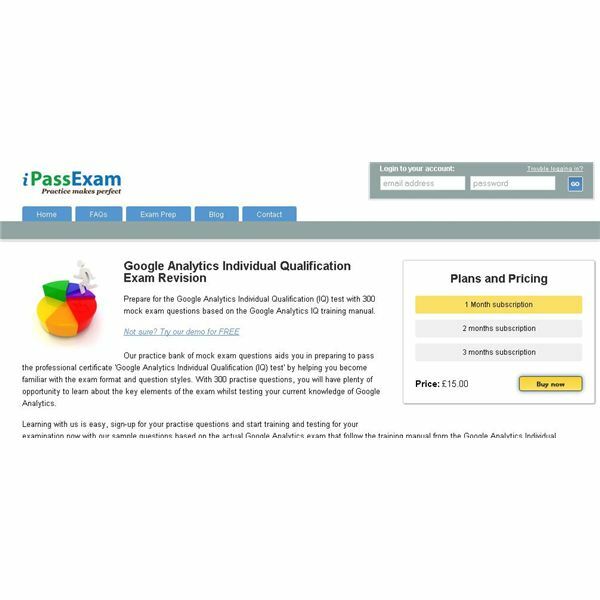 The iPassExam website provides several hundred practice exam questions that can help users make sure they know enough to pass the official Google exam before they log in to the Google Testing Center. After taking the practice test, users will understand their strengths and weaknesses better, providing insight into what they should study the most. Enrollment with iPassExam costs £15.00 for one month with other subscription plans available. Google offers its users the ability to take the Google Analytics certification test for a $50 fee. 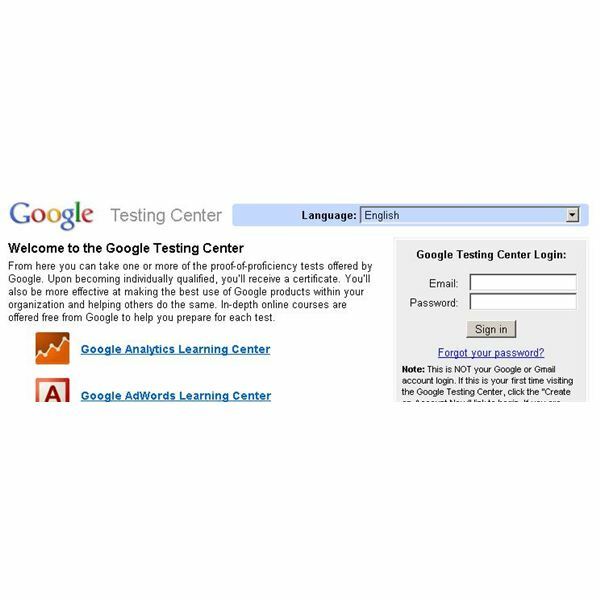 Users must register at the Google Testing Center for an account. After registering and paying for the test, users have 90 minutes over the course of five days to complete it. Those who pass the test get to put their certification on their resume and place the Google Analytics Individual Qualification badge on their web site. People who fail the test must take it again and pay another $50 testing fee.